Health Systems Global 2016 was opened by leaders of the Canadian First Nation community through song and dance and a discussion of how health has four components: physical, mental, emotional, and spiritual. 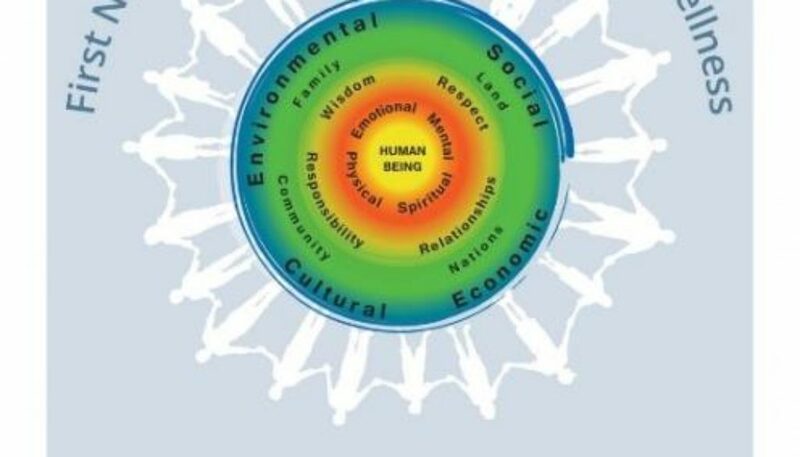 The First Nations Perspective on Health and Wellness stress the need for a balance between these aspects of wellness and that they are all nurtured together to create a holistic level of well-being. It struck me that this conceptualisation, together with intersectionality, is a good way to think creatively about ways forward in health systems, and in particular the experiences of frontline health workers. Physical health: In the conference opening plenary Karsor Kollie, head of the Liberian NTD programme, discussed the impact of Ebola on front line health workers: death, injury and morbidity. Later in the conference video extracts of him interviewing community based drug distributors demonstrated the risks they faced as their roles expanded to include community action on Ebola and the burial of the deceased. Zara Trafford from University of Cape Town, also brought video insights from community health workers (CHW) in South Africa. One exhausted female CHW had an accidental needle stick injury; unlike formal paid cadres, such as nurses, she was not entitled to post exposure prophylaxis. This led to physical risk of infection, extreme stress, and a strong sense of being undervalued. The physical health impacts on front line health workers on CHWs working in contexts affected by conflict and epidemics is acute. Clearly CHWs deserve the same levels of protection as health workers in other cadres. Mental Health: Work on promoting a resilient health workforce in conflict affected areas highlighted the many mental health impacts on front-line health workers including post-traumatic stress disorder, insecurity and fear, and the risk and reality of abduction. Haja Wurie from ReBUILDexplained how health workers were a specific target for abductions during the northern Ugandan conflict, and had to disguise themselves in order to get to work. A skills building session on life histories, used participatory approaches to understand health workers’ experiences during and post-conflict to explore how individual experiences are shaped by broader contextual changes with many mental health implications stemming from violence, trauma and fear. Close-to-community providers deal with a wide range of issues with implications for their own mental health: domestic and sexual and gender based violence, abuse, alcoholism. Polly Walker, explained how World Vision incorporated Psychological First Aid training in their core CHW model in response to increasing need. Observation of implementation in over ten countries shows immense need here on the importance of skills-building for both mental health and psychosocial support of CHWs working in a wide range of circumstances not only to serve their client better, but also to better cope with their own experiences. World Vision are currently working on a more in-depth model for support. Emotional Health: Despite the multiple challenges for mental and physical health, front line health workers, demonstrate “reservoirs of resilience”. New technologies can also play a role here: in Sierra Leone, in the face of Ebola, health workers used WhatsApp groups to support each other, and share vital safety information. Sophie Witter shared how coping strategies for conflict were gendered and shaped by poverty and household structure. Families, sense of nationhood and patriotism were all strategies deployed by health workers to build emotional health in these contexts. REACHOUT research within complex adaptive systems brought insights by highlighting the importance of the software of health systems (relationships, reciprocity, and trust) alongside the hardware (training, supervision and policy). When strong, respectful and trusting relationships are in place for CHWs – both with supervisors and communities – emotional health is likely to be enhanced. Spiritual Health: The First nations community explained that “​Nurturing spirit is the aspect in your life that makes you smile! This is about what makes you feel good and connected. This builds your self-esteem, self-confidence and allows you to be connected to others, mother nature and yourself.” With strong links to emotional health and social capital, religious faith can help build the spiritual health of frontline health workers. Studies on health workers’ experience in Sierra Leone, N.Uganda, Zimbabwe and Cambodia showed that religion is a key motivator to join the profession and also a strong factor supporting staying in service during tough times. The brilliant plenary on intersectionality, showed how we need to consider multiple axes of inequity (race/poverty/gender/(dis)ability/sexuality etc.) to address power and privilege. These play out in different ways at different moments in time and in different contexts. Social justice is key, as is reflexivity and critically thinking through our own roles as researchers within health systems. There are parallels here too with the First Nations’ concept of “cultural humility” as a process of self-reflection to understand personal and systemic biases and to develop and maintain respectful processes and relationships based on mutual trust. Olena Havinsky, from Simon Fraser University in Vancouver, referred to the idea of “incremental radicalism”, small steps to build mutual understanding and alliances for change and to promote social justice. We need to draw on these concepts and put in place strategies to further support the holistic health and well-being of front line health workers who are the key to both responsive and resilient health systems and universal health coverage.